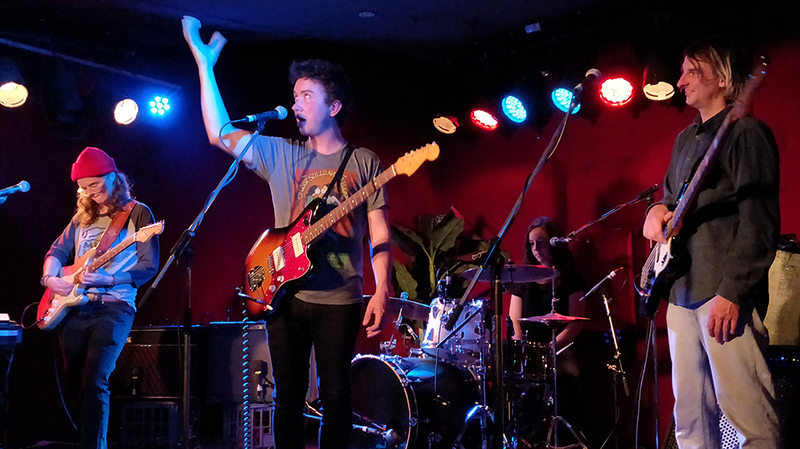 Melbourne lad Fraser A. Gorman came to prominence when his debut album was released on Courtney Barnett’s Milk! Records. The affable songwriter has perfected his role as being the perfect opener for touring American songwriters. With a clever turn of phrase and a nod to Dylan and roots classics, there is much to like about Gorman. 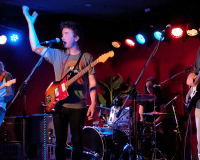 This night saw him with a solid enough budget to bring his full four-piece band for the occasion as they worked through a healthy dose of tunes from his latest album Easy Dazy. With between song banter that is as entertaining as his tunes, Gorman joked his way through a routine where he lamented the life of the “touring musician is the endless highway to cash”. With the full band in tow, Silence Turns To Gold had some well layered backing vocals and St Joe’s Street was given more vigour and guitar slinging than on record. Another fine outing from the cerebral wordsmith. 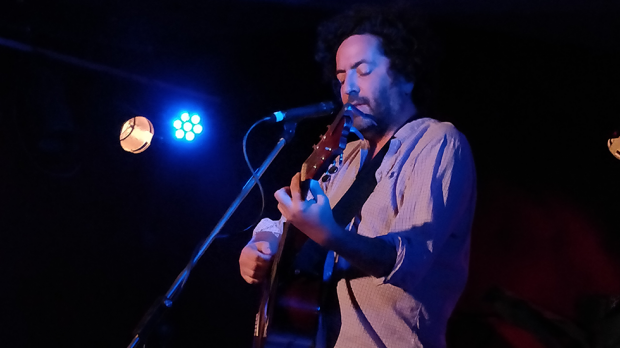 With 12 albums under his belt with Destroyer, as well as being a member of the New Pornographers, Dan Bejar has sure taken his time to make his debut trip to Australia. 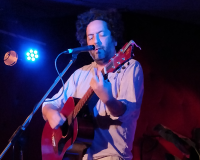 He made a no fuss entrance to the stage with dishevelled hair and un-ironed clothes giving the impression that Bejar had just roused himself from a deep slumber. 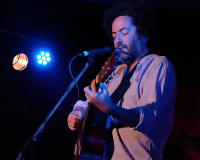 Although understated, there was nothing sleepy about the solo performance as Bejar delved all around his catalogue to play stripped back versions of his Destroyer tunes. A Dangerous Woman Up To A Point was the first aired, and showed Bejar’s knack for an unconventional melody that doesn’t wane over the course of six minutes. Wasting no time in playing a new song, Bejar shared an enthusiastic take of a tune that is currently called Cue Synthesiser, but is not guaranteed to keep that title. The acoustic rendition hinted and a more grandiose version that is likely to take shape once it is cemented on acetate. Bejar may have far from the perfect voice, but he makes up for it with a cadence and phrasing that is hard to ignore. 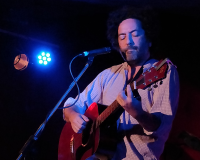 English Music had the biggest hook of the evening, and Tinseltown Swimming In Blood may have been stripped of its Cure-like guitar and bass, but was given extra warmth via Bejar’s well travelled Guild acoustic guitar. The intimacy of the gig wasn’t lost on anyone is attendance with Bejar often closing his eyes whilst strumming away, and bowing awkwardly after each song. The conversational style of his delivery was accentuated during European Oils as Destroyer songs from the past three decades were employed. Chinatown was a bright moment from the ‘hit’ album Kaputt before older tunes of What Road and the sombre warning of Don’t Become The Thing You Hated was a simple and fitting end. 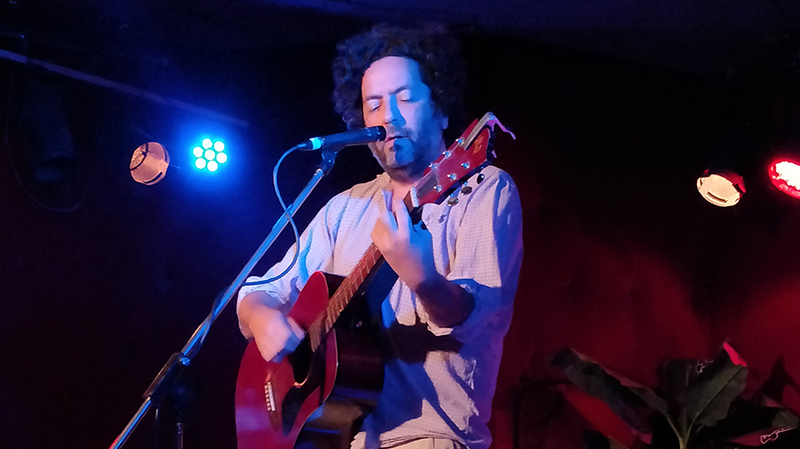 Admitting to not being the most comfortable artist to perform an encore, Bejar opted for the ‘easiest song’ he knows. With that,Virgin With A Memory was his parting gift as he disappeared with as little fanfare as he arrived. There was a sense that Destroyer shows aren’t usually as austere nor do they have as diverse a setlist. This was a show purpose built for those long term fans.